What if Antarctica instead of its current position would be roughly centered on the equator and Antarctica would go from approximately 27°N at the tip of the Antarctic peninsula to 25°S in the southern extremity. The South Pole would be where the equator is. 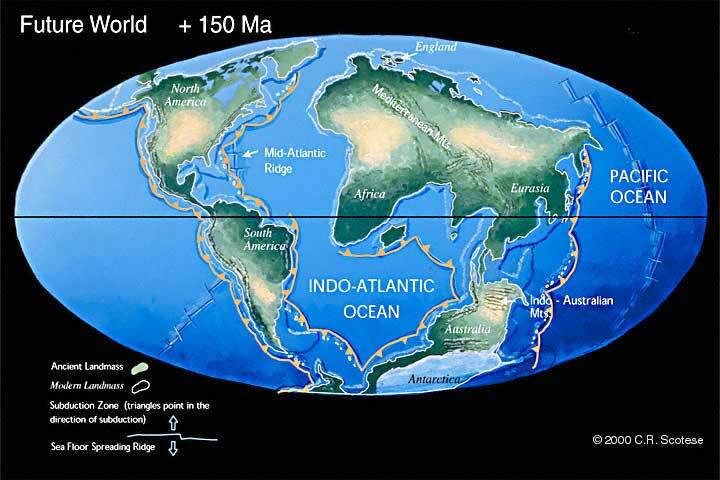 The continent would be centered on approximately 140°W longitude. What would the climates and population of Antarctica be in this scenario do you think? I imagine the Antarctic circumpolar current would disappear in this case around the bottom of the Southern Hemisphere. 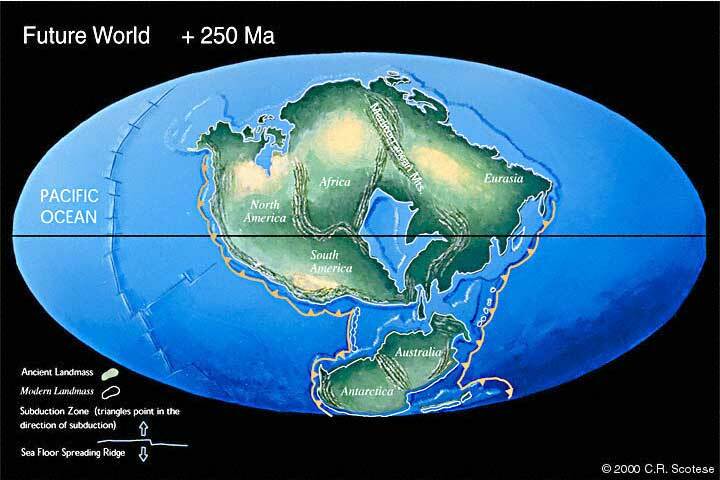 How would that affect the climates of South America and Australia and the world in general? Tropical and subtropical arid climates along the coasts, probably alpine and tropical highland climates in the interior. The South Pole itself might have a climate like Quito, Ecuador due to similar elevation although might be lower without the ice... not sure. I was just wondering about Antarctica earlier. There are several bases there, and there are unpaved transantarctic highways between some of them. If they were paved with blacktop, I was wondering what the heat island effect of that strip of blacktop highway during summers might be, no matter how minute. Anyway, back on topic, I have also always wondered what Antarctica would look like thawed out, and what will become of the landmass when plate tectonics move it away from the south pole. I can imagine it being larger and more elevated due to crustal rebound, with a vast forested area around the shores and perhaps a desert in the interior past the transantarctic mountain range. The circumpolar current would probably disappear, but what would the new currents look like? The south would look more like the north with just a layer of sea ice and perhaps land icecaps on nearby land / islands and such. This is what the Earth may look like at various point in the future. Looks like Antarctica is going to remain a polar desert for the next few hundred million years. Owen will finally have correct NI climate averages in about 250 million years. It will be a hot continent like Australia, but with more forests and greenery. I think the coastal areas will enjoy a nice ocean upwelling that will allow for a large fishing industry. 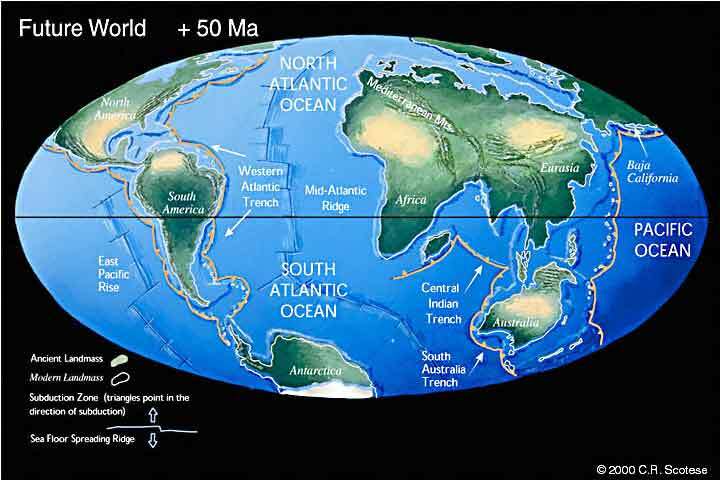 It might also be climatically diverse from tropical to desert similar to other continents corresponding to the same latitude. I wonder if the North and South Pacific gyres will weaken. Mediterranean Climate in the North and Northwest, arid in the west and south-west, humid tropical (like Singapore) in the east, humid subtropical in the South and tropical highland in the center.